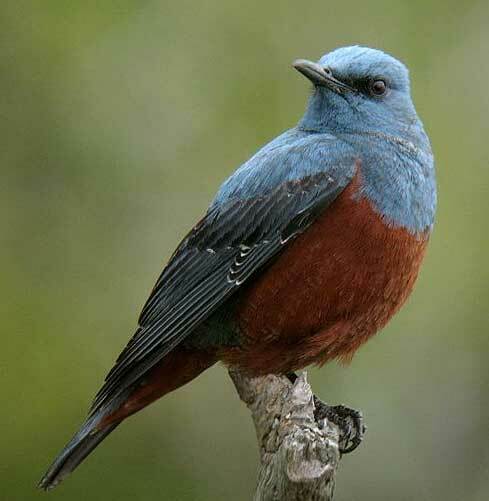 The Blue Rock Thrush or Blue Rock-Thrush (Monticola solitarius) is a species of chat. 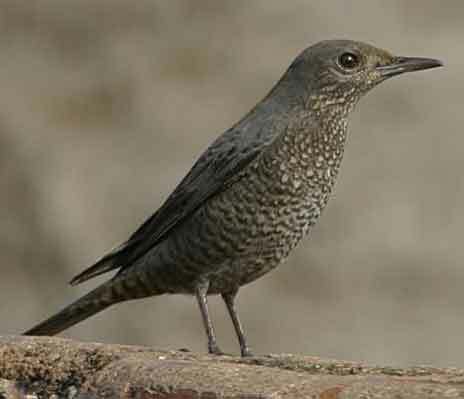 This is a starling-sized bird, 21-23 cm in length with a long slim bill. The summer male is unmistakable, with all blue-grey plumage apart from its darker wings. Females and immatures are much less striking, with dark brown upperparts, and paler brown scaly underparts. Both sexes lack the reddish outer tail feathers of Rock Thrush.